Following the weekend’s Olympics Closing Ceremony, Jessie J has revealed to fans that she’s back in the studio working on her new album. The ‘Price Tag’ star took to Twitter to post a photo of herself busy at work hinting to fans that a new album could be due sooner than expected. 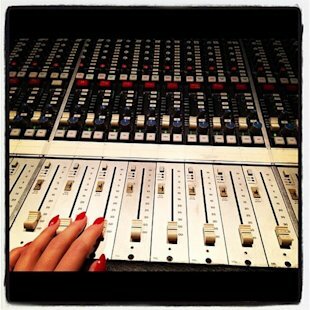 “I’m back,” Jessie posted alongside the picture of a recording studio mixing desk. Earlier this year the singer confirmed that she had already started writing new music and was excited to get back in the studio to begin work on the follow-up to her 2011 debut Who You Are. During Sunday’s ceremony Jessie joined Tinie and Taio Cruz for a joint performance and also sang ‘We Will Rock You’ with Queen. ”Watching The Closing Ceremony back with happy tears streaming down my face :),” Jessie wrote yesterday. Katy Perry has revealed that her next album will include inspiration from her divorce from comedian Russell Brand. But don’t worry it won’t be a tearjerker like Adele’s 21. The ‘Part Of Me’ singer is currently working on ideas for the follow-up to Teenage Dream and like her recent documentary, it will feature details of her divorce from comedian Russell Brand. “I would love to just let it be the black box of who I am,” Katy told Capital FM. Perry said the album will be ‘a lot darker’ than her previous releases. “I’d never devote a whole record to heartbreak,” she stated. “I’m happy, I’m in a good place, I’m looking forward to my future”. Last week her ex-husband Russell Brand revealed that he wanted to have children with his then-wife and she didn’t because of her career. The ‘Get Him To The Greek’ star was talking to Howard Stern about his 14-month marriage to Katy, which was finalised last weekend, where he revealed his plans to start a family but the timing wasn’t right for the ‘California Gurls’ singer. 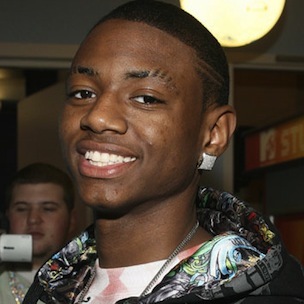 Soulja Boy has announced his upcoming fourth album Promise, releasing at the top of the year in 2012. Having released her platinum debut Pink Friday in November 2010, Nicki Minaj is already at work on its follow-up, due in the first quarter of 2012. During an interview with Billboard.com, Cash Money co-CEO and founder Birdman said that the rapstress is back in the studio recording her sophomore album, which may arrive as early as the first few months of the New Year. Cash Money most recently released Drake’s Take Care, with plans to put out new albums from itslatest signee Busta Rhymes, Birdman and Jay Sean. Having already collaborated with Raekwon and Kanye West, Justin Bieber is netting a few more rap features for his upcoming album Believe, the follow-up to last year’s My World 2.0. 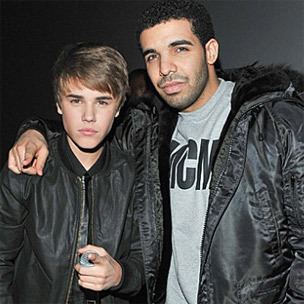 During an interview with Capital FM (via Rap-Up), Biebs revealed that his forthcoming set will tout guest appearances from Drake and Yeezy. “I’m working with a lot of cool people. I’m working with Kanye. Drake is gonna work on the album with me and a lot of different artists,” he said. Additionally, the teen star has worked with Bangladesh, Danja and Kevin Cossom. He will next release his Christmas album Under the Mistletoe, which features guest appearances from Busta Rhymes, Usher, Mariah Carey and more. As if he needs any of them on his album though…like really, this kid was a millionaire before he started puberty! Rihanna has confirmed that her sixth studio album will drop this autumn. The songstress confirmed last week that she was working on the follow-up to Loud, however, she refused to give anymore details. Yes! Some more bedroom music soon come! Doris Day, the legendary American actress and singer, is set to release her new album ‘My Heart’ next month – 17 years since her last record. The entertainer, now 87-years-old, will release the re-mastered recordings featuring new material and cover songs on 5th September 2011. Born in Ohio in 1924, the singer had her first hit record ‘Sentimental Journey’ in 1945. She rose to become one of the biggest stars in Hollywood and received an Academy Award nomination for her performance in ‘Pillow Talk’. Speaking to the UK’s Yorkshire Post about her new record, Doris said, “It was brought to my attention that the recordings were in storage and Sony was interested in releasing them. So I listened to them and at first had some misgivings, but after they were re-mastered, I liked them and hoped my fans would too”. The singer has spent her later life working on animal rights projects and admits she doesn’t listen to any contemporary artists – except for one Canadian crooner, saying, “I think Michael Buble is marvellous but perhaps that’s because he sings in the style I’m so familiar with”. Doris Day’s upcoming album features the track ‘Life Is Just A Bowl Of Cherries’, which was produced by her son Terry who died in 2004. Now that’s what I call LONGEVITY!!!! 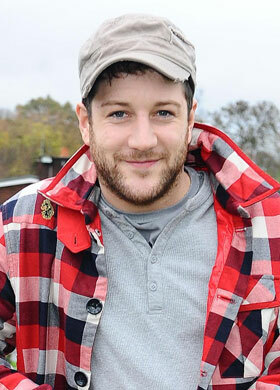 The X Factor winner had bided his time in releasing any music, with only ‘When We Collide’ as his only release to date. However that will change on October 17th when he releases his debut album. Matt had previously been keen to embrace his rock side and has worked with song writer Guy Chambers on the album. I look forward to this album…I am a fan of anyone who is seriously talented and so humble at the same time! Dizzee Rascal has said that he is interested in working with Foo Fighters on his next album. The ‘Bonkers’ rapper has long been a rock music fan and often cites Nirvana, the former band of Foo’s singer Dave Grohl, as a major influence on his music. Discussing plans for his next album with The Sun, Dizzee also revealed he’d love to work with Kanye West and Outkast’s Andre 3000. “I’d like to to work with Kanye West and Andre 3000 but Dave Grohl is the one – I met him last year and he was really cool.” said Dizzee. 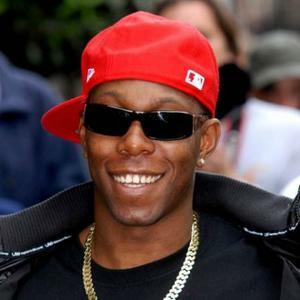 Dizzee Rascal has previously said that he will make his return to the music scene in 2012.